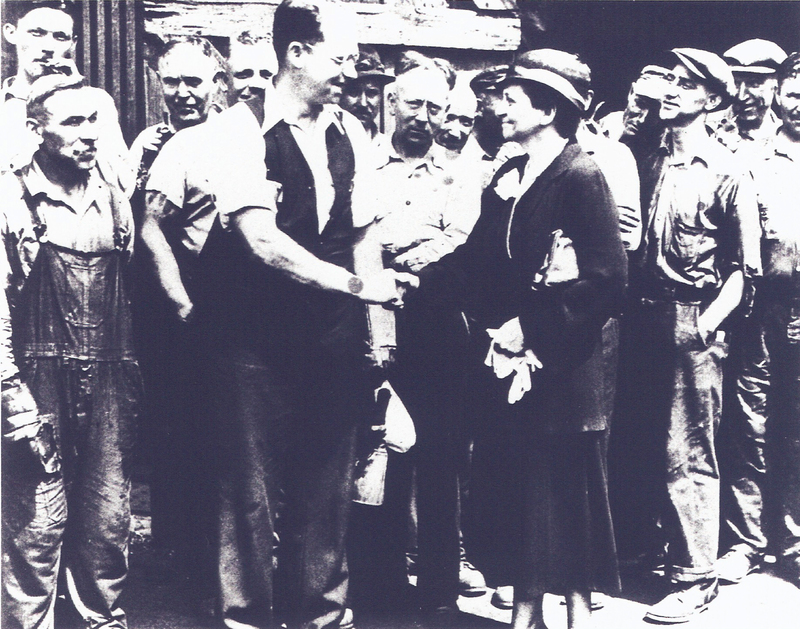 Secretary of Labor Frances Perkins shakes hands with Carnegie Steel Workers during a tour of Pennsylvania, July 1933. When Perkins made her fact finding trip to Pennsylvania in the summer of 1933, reporters from Pittsburgh newspapers and the national wire services accompanied her into steel mills they had never previously been allowed to enter. Her visits to the mills and with Pennsylvania steelworkers were uneventful until the Burgess of Homestead drew national attention on July 28 by refusing to allow the Secretary of Labor to meet with workers on city property.